Few things get parents riled up like a discussion of nanny cams. And that debate is taking center stage once again following the arrest of a 52-year old Staten Island nanny for allegedly slapping a 5-month old baby in the face – an act that authorities say was caught on on tape. According to NBC 4 New York, the video came from a camera hidden inside the home’s carbon monoxide detector. Those in favor of nanny cams can't imagine leaving their kids alone without one. In addition, he says she left one of their infants unattended on the edge of a changing table. Michael Giordano, vice president of Know Your Nanny, a New Jersey company that sells hundreds of different nanny and “spy” camera options online, says more parents are relying on (or turning to) nanny cams to safe guard their homes. “We’ve seen a steady increase in the number of parents looking for nanny cams every year,” he says. Whenever something happens in the media with a child and a caregiver (like the recent nanny arrest on Staten Island), however, Giordano says business spikes. While he thinks any type of video system will help parents keep an eye on what's going on in their house, he believes having sound on the feed is key. The problem is, audio recording can get tricky from a legal standpoint. 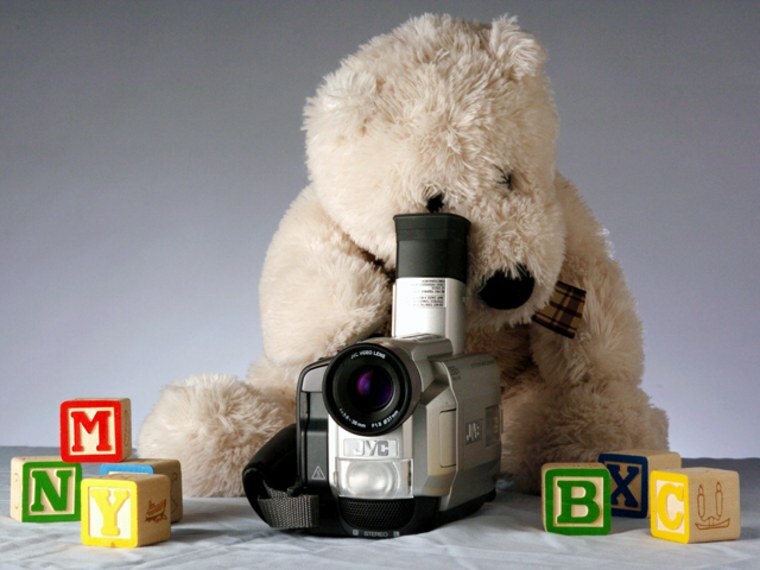 While nanny cams without sound are generally allowed, experts like the University of Maryland’s criminal law professor David Gray, encourage parents to consult a local attorney before installing any surveillance equipment in their home to make sure they’re not running afoul of any state laws about audio recordings or privacy issues. To be extra safe, Gray advises parents to ask their caregiver to sign a release form, acknowledging that they are being watched, as opposed to just taping them in secret. “The real benefit of surveillance is not to catch wrongdoers, but to prevent [the] wrongdoing in the first place,” says Gray. By asking a nanny to sign a legal consent, Gray explains, you’ll hopefully deter unfortunate behavior and protect yourself from possible recording laws in your state. Bina Shah, of Cresskill, New Jersey, is another huge fan of nanny cams. So much so, she had a “United Nations spy cam specialist” install a system of motion sensor recorders within the home’s smoke detectors after she and her husband hired a nanny to care for their 3-year old boy and 3-month old girl. According to Shah, ninety percent of the apartment was under surveillance. To see what was happening in their home, the couple would simply log onto a password-protected URL. As it turns out, the nanny -- who came with “excellent references” – didn’t prove to be up to snuff. Shah says shequicklydiscovered discrepancies between what the nanny claimed to be doing with their son – and what the video feed actually showed her doing while the couple was at work. The son was never endangered in any way, but Shah says the dishonesty made them uncomfortable. Not all parents are on board with the idea of recording their nanny's every movement. In fact, some mothers feel that the nanny cam, in and of itself, is a violation of trust between a parent and a caregiver. Or at the very least, an admission that you’ve hired someone with whom you’re not one hundred percent comfortable. Kindra Kirkeby, the mother of three young children, believes that unless you have a reason to suspect otherwise, you have to be open and trusting of the person you’ve hired to care for your kids. What do the nannies themselves think of the popular practice? Benham, who is the mother of two little girls and former nanny herself, understands how crucial trust is between a parent and the person watching a child -- and how quickly that trust can be broken. “When all is said and done it’s really about finding someone you feel you can leave alone with your baby and not have to worry and check in on all the time, while you’re at your job or running errands,” she says.